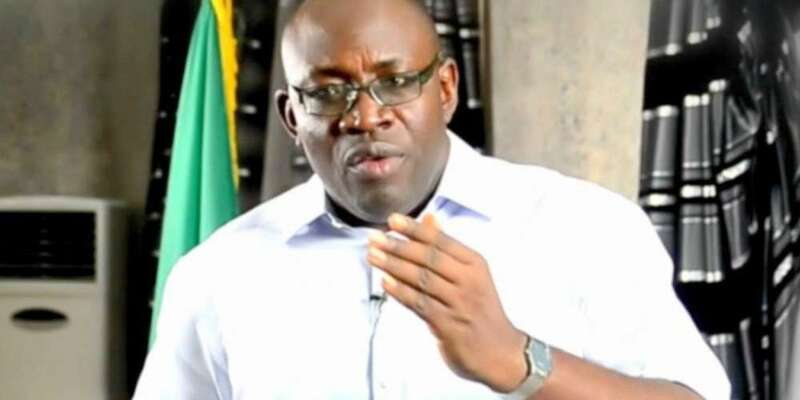 Bayelsa State Governor, Seriake Dickson, has reacted to the votes scored by President Muhammadu Buhari and other candidates of the All Progressives Congress, in Nembe Bassambiri and Southern Ijaw Local Government Areas of the state. The Governor in a statement through his Special Adviser on Media Relations, Fidelis Soriwei, claimed that elections did not happen in Nembe Bassambiri and Constituency 4 of Southern Ijaw. “Nigerians should discountenance the purported figures allotted to President Buhari and the other APC candidates based on which they are declared winners of House of Representatives and Senate seats,” he said. Dickson described the situation in the communities as “blatant violation of the rights” of the people to elect their leaders and representatives. He called on the Independent National Electoral Commission to cancel the figures from the election which were never held. “Our state condemns the purported result from constituency 4 of Southern Ijaw and the seven Nembe wards. “We want the world and INEC to know that what happened in Nembe Bassambiri and Southern Ijaw Constituency 4 was a blatant assault on the rights of our people. “There was no election, no vote. We are calling INEC to announce cancellation and discountenance itself from this charade and investigate and punish all its officers who are complicit in this,” he added.